We’re all from Swansea, Wales. However, Jack C. was born across the pond in Minnesota, USA, but grew up in Swansea from a young age. Jack C, Sam, and Tom all went to the same primary school, and all then went to the same secondary school, where we were joined by Jack P. In 2014, we all started to play together as a four-piece in the school practice room. 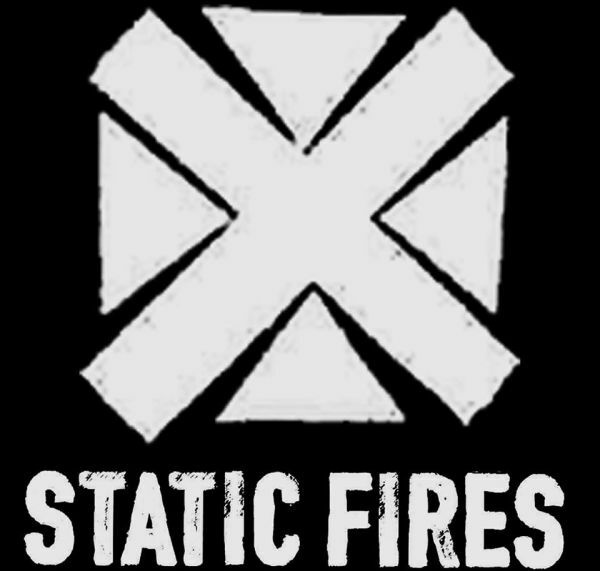 Since 2014, but we started gigging as Static Fires in February 2015. Prior to this, we played under a number of different names. We were originally called Cinder, when we first released our first 2 tracks back in December 2014, but soon found that there was another band with the same name, prompting us to find a new one. After a furious 2-hour brainstorm, we settled on Static Fires, mostly as it related to flames, fire, etc. and so that it allowed us not to change our signature “X” logo. Between the four of us, our influences are quite diverse. Some of the artists we enjoy the most include Red Hot Chili Peppers, Kings of Leon, Arctic Monkeys, Queens of the Stone Age and Foo Fighters. We differ from other bands because of our influences, experiences and friends. It’s hard to pinpoint a specific thing that we do that no one else does. We’re not trying to reinvent the wheel, we’re just trying to make the best “wheel” that we can. We play the music we want to play, putting our spin on the styles we enjoy and we have a tonne of fun doing it. The writing process for our upcoming album has given us numerous opportunities to explore lyrical themes. The title track “Thirteen” deals with the concept of bad luck and feeling inescapable from it. “Return” is about the desire to let go of something, but not being able to bring yourself to do it. “Like the Sun” is a lyrical slap in the face – positively encouraging someone to get up and get a move on. We try and engage with our audience as much as possible during our live shows. Whilst writing “Return” we tried to get audience participation in order to help give the song a name. This led to such suggestions as “Jasper”, “Mango Spice”, and one weird guy started shouting “Die” at us. How many shows have you played? 69 gigs as Static Fires, 72 in total. However, there will be many more. We were once playing at a very narrow, underground venue in Swansea called the Lemon Factory. This was a particularly busy gig, and people insisted on crowd surfing – they were literally crawling along the ceiling. This led to someone breaking their nose against the ceiling. Firstly, we just brought out our track “Return”- currently streaming exclusively on Youtube! It will be featured on our first full-length album Thirteen which is being released on August 10th of this year! We will also be bringing out our debut music video for another one of our album tracks next month. Other than our upcoming releases, we plan on playing a lot more gigs from June onwards to promote the new material. We’d love to play some new cities, venues and festivals and venture out into England, maybe even doing a small tour towards the end of the summer. This is a hard choice, but the band we’d love to support would probably be Red Hot Chili Peppers. Supporting us, we’d have fellow Swansea band Bandicoot. Although we don’t sound much alike, we’ve played quite a few gigs with them and get on really well.